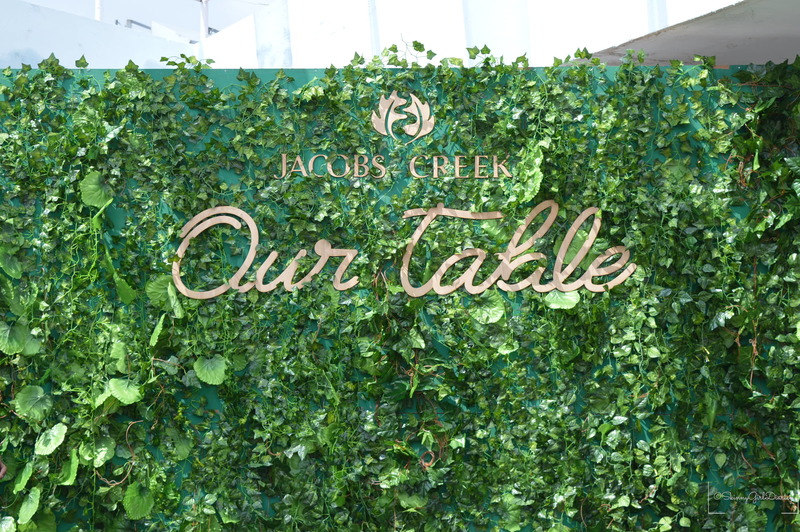 Jacob’s Creek, is renowned for organizing the longest table brunches, across the world. On 4th December Jacob’s Creek hosted ‘Our Table’ to break the record for ‘The Longest Asian Brunch At 421 Feet at High Ultra Lounge, Sheraton Grand Bangalore. Watch the video of the table setting! It was a glorious sunny Sunday, well spent, with great wines, food and good company. My favorite part of the afternoon, was the kite flying..I did try my hand at it, but was an epic fail. We also had the mannequin challenge. The lovely wines and bubbly kept pouring in. Gastronomy enthusiasts and wine lovers alike had filled up the upper deck. The live band and DJ kept the uptempo music going. There was so much spread of food. I stuck to the grills and paired it with the bubblies. For mains, I had the Thai curry and flavoured rice. The desserts section was the most thrilling one, from candies to bonifie pie. Looks like the crowd had a sweet craving as that section was just crowded the whole time. To close the afternoon, we danced a bit to the some tunes played by the DJ of the house. Here is a glimpse of the eventful day. As a souvenir, we received Polaroid images and a certification of participation. Over all a memorable evening, well crafted brunch experience, with delicious food and the perfect music! Jacob’s Creek – This Australian wine is multi-award-winning wine is a global market leader. It is part of the Pernod Ricard portfolio of premium international and local brands here in India. High Ultra Lounge – Spread across 10,000 square feet High Ultra Lounge, is located on top of the World Trade Centre, at 420 feet. It is the tallest point in South India. It is a modern day Asian bar and restaurant. Sheraton Grand Bangalore – Located inside an upscale enclave. This five star hotel sits next to the World Trade Centre.